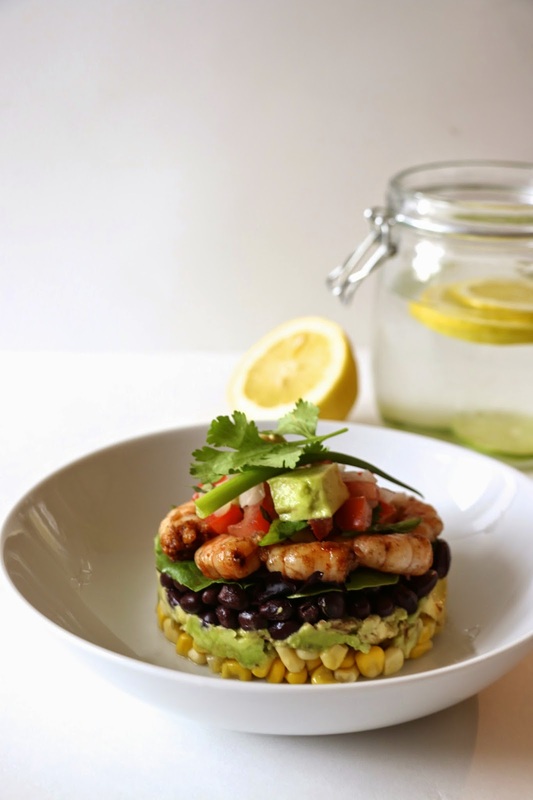 Salad stacks are the new trend to add a touch of elegance to your every day meals. 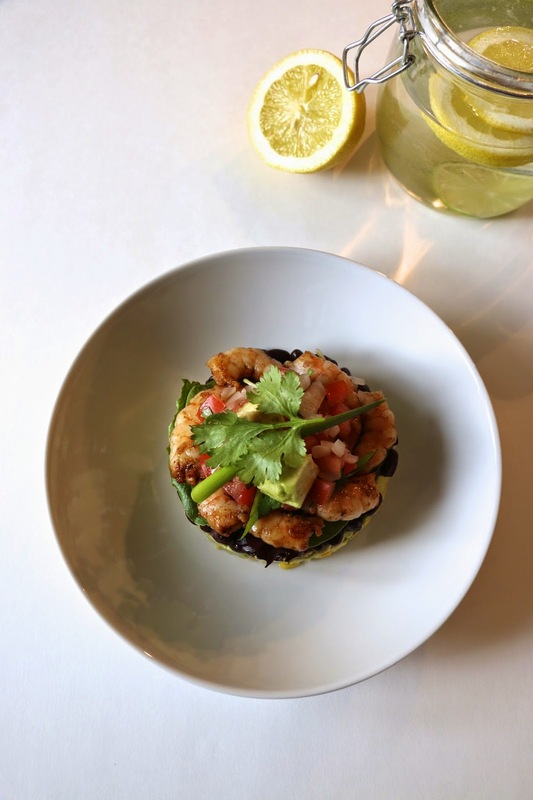 Use some Mexican flare with this no-cook, quick salad that only needs a squeeze of lemon to bring out the flavours. This salad is fresh & healthy. 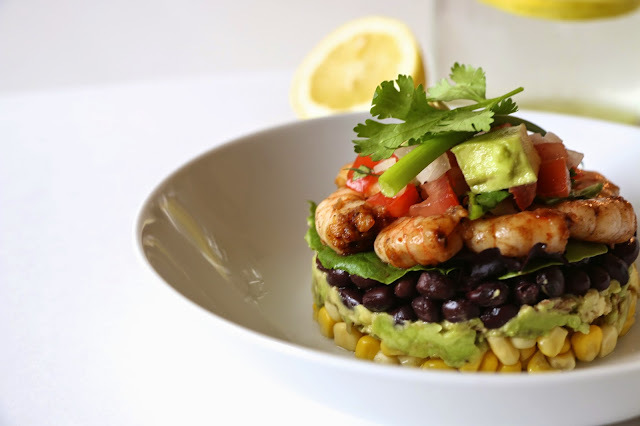 Combining a mix of hearty black beans, sweet corn & a fresh tomato salsa on top. Chop tomatoes, onions, scallions & cilantro for fresh salsa. Saute shrimp with chili powder for 1 minute. Using a springfoam pan, set it in the middle of the plate. Add drained black beans on top of avocado layer. Press down. Then add baby spinach. 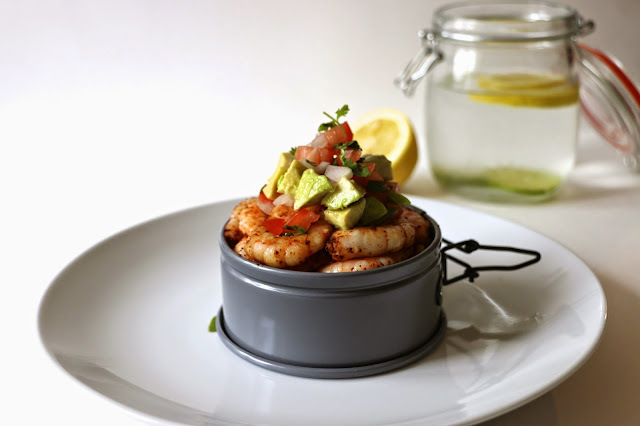 Layer shrimps & top with salsa. Remove the springform pan, squeeze with lemon & enjoy.